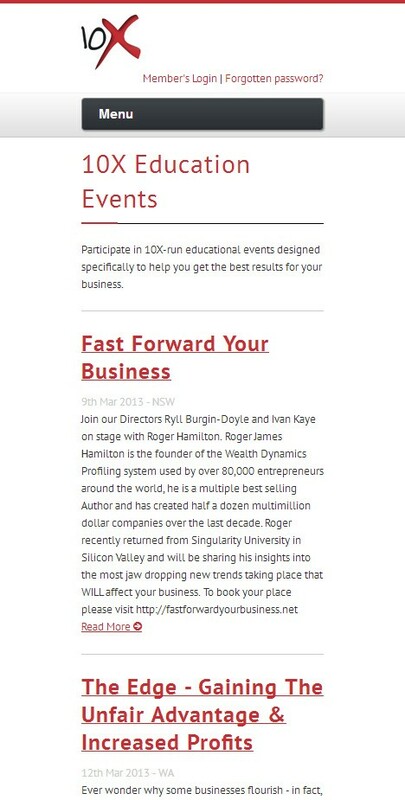 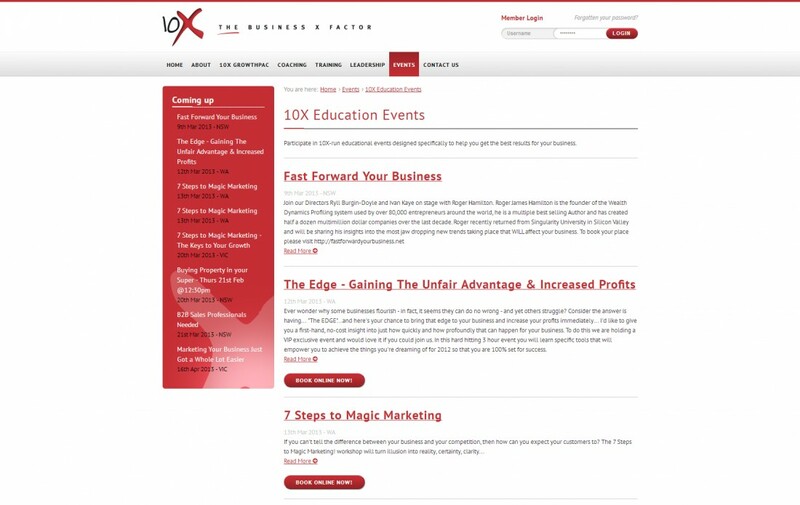 New Business Media - CATERING TO A WIDE RANGE OF INDUSTRIES, THIS WEBSITE DEMONSTRATES THE MEANING OF X FACTOR. 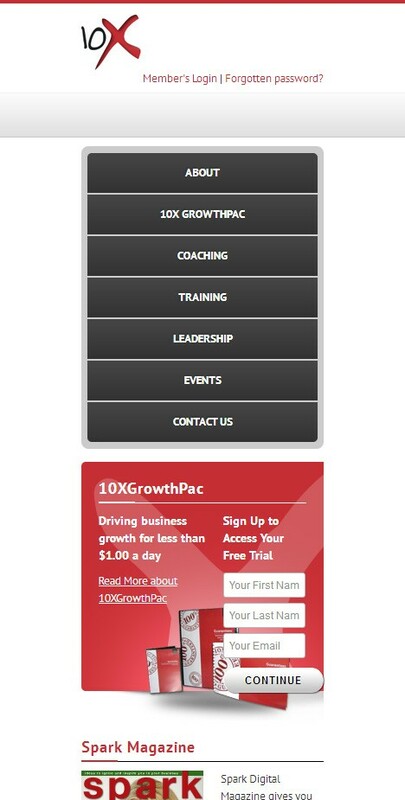 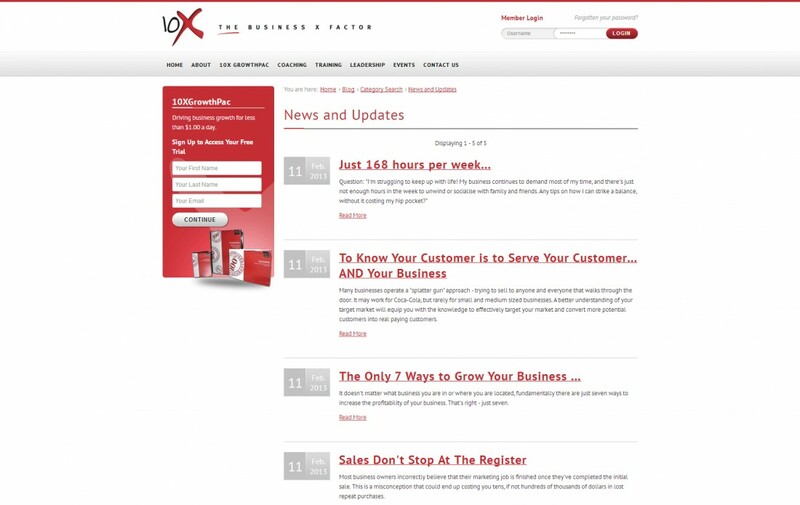 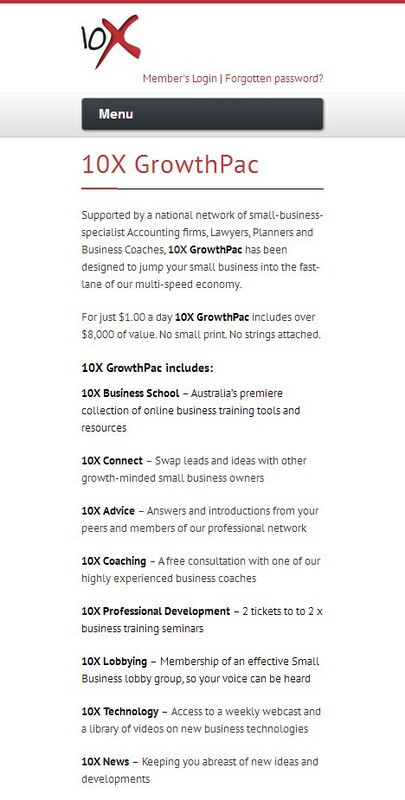 The Business X factor is what 10x is about, which is why they were looking for a website that gave THEM the x factor! 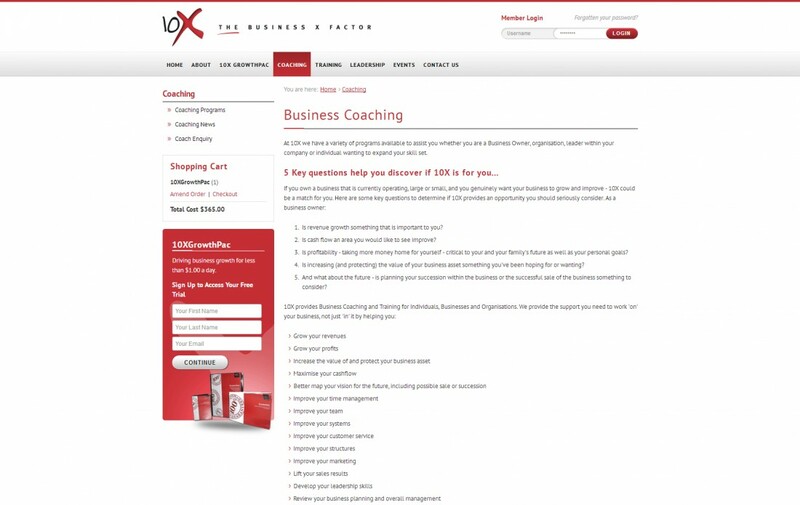 With a range of business tools including training, seminars, coaching and leadership events, this website delivers online training and information for professionals across a wide range of industries and positions. 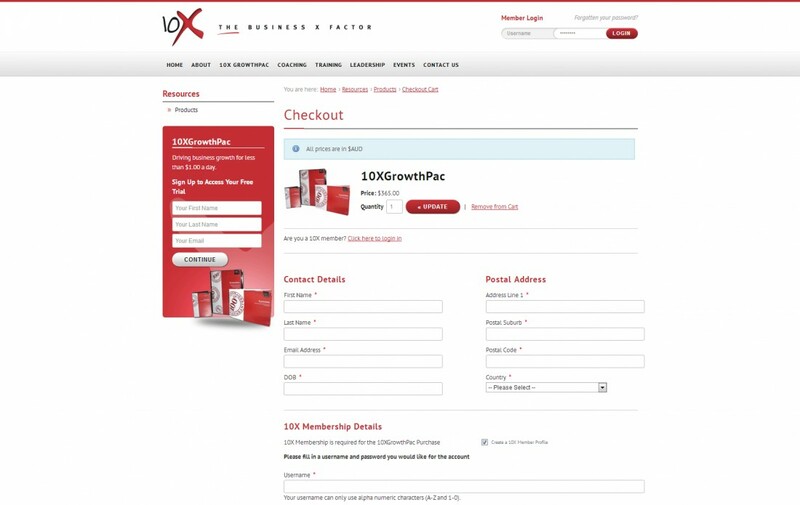 With an online login centre for course delivery materials as well as a secure ecommerce solution, this site is the total package. 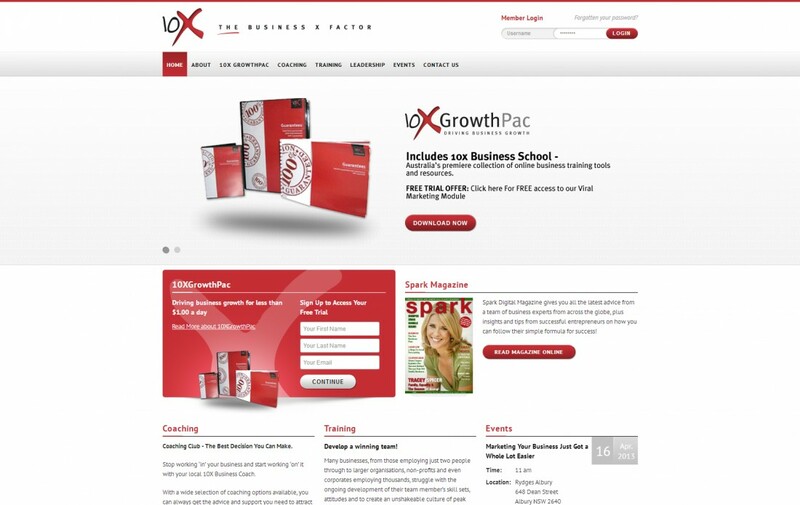 CATERING TO A WIDE RANGE OF INDUSTRIES, THIS WEBSITE DEMONSTRATES THE MEANING OF X FACTOR.